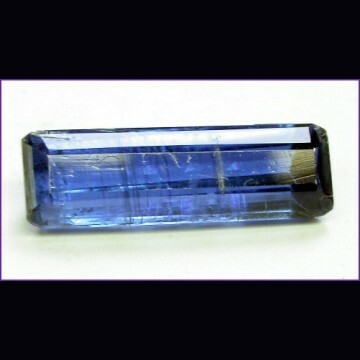 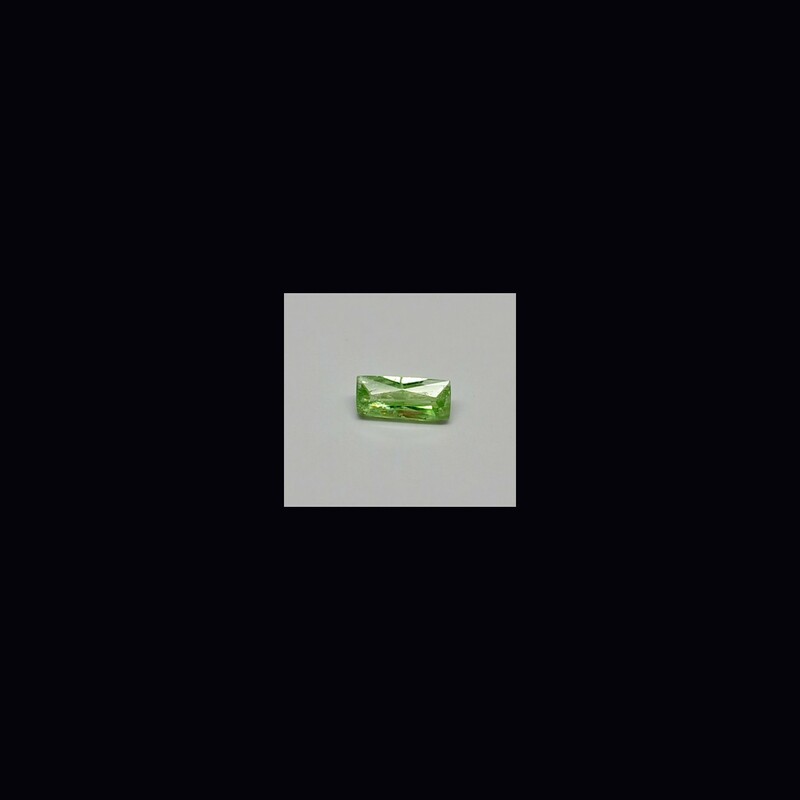 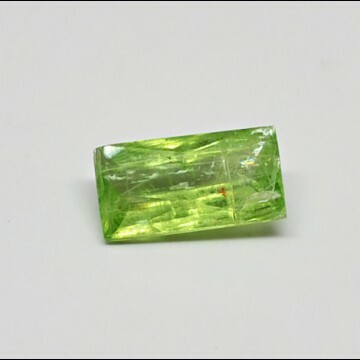 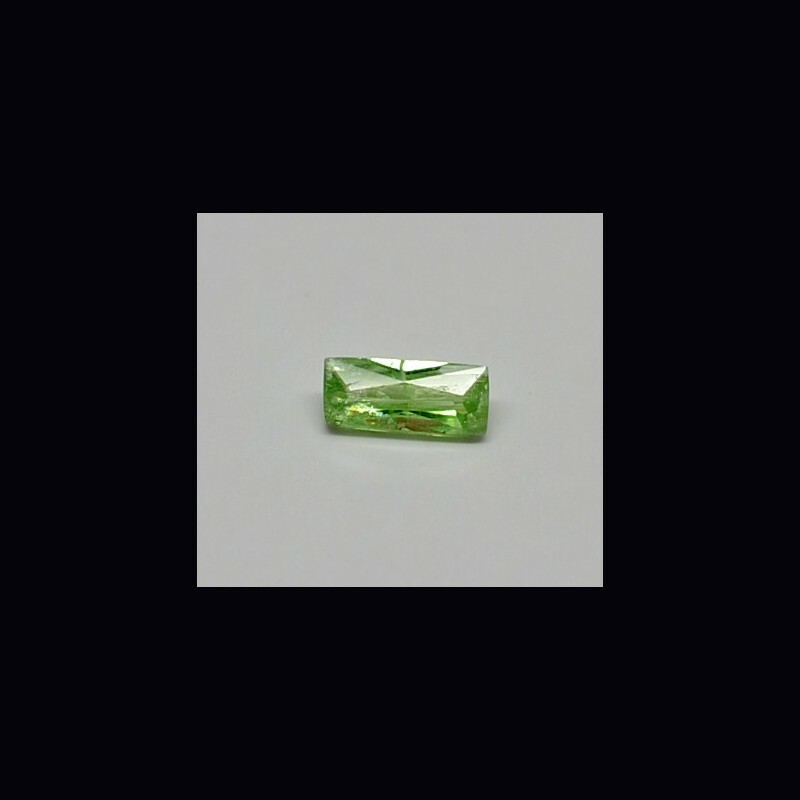 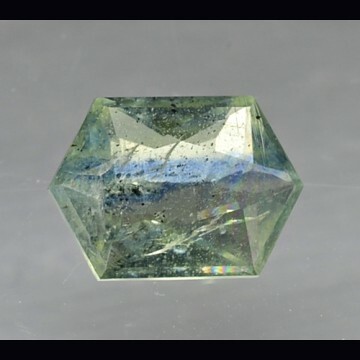 > CUT GEMSTONES>KYANITE cut>KYANITE cut> Green kyanite 0.20 ct.
Is aluminum silicate with formula Al2SiO5 and variable hardness along the directions: 4.5 -5 to 6.5-7 from the Mohs scale. 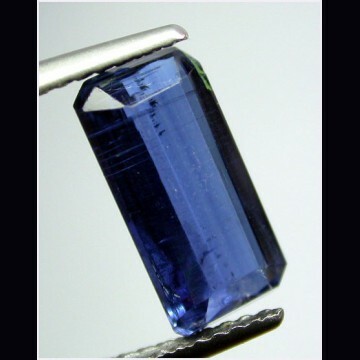 Also called Distene from the greek word that means two strengths and ciano or kiano means blue color. 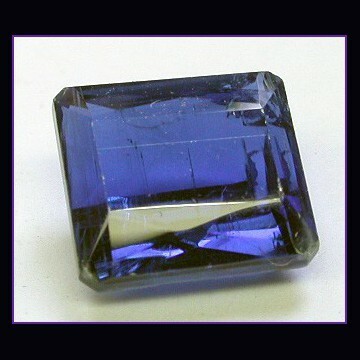 Difficult to cut due to this fibrous structure and rare to find completely clean. 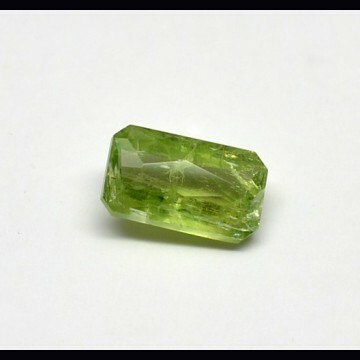 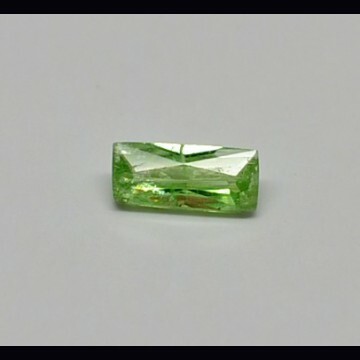 Normally green kyanite is coming from Brazil,and recently I was able to find some rough from Madagascar with a very nice yellow-green color. 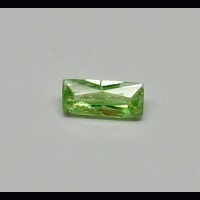 The stones are always small and moderately included.